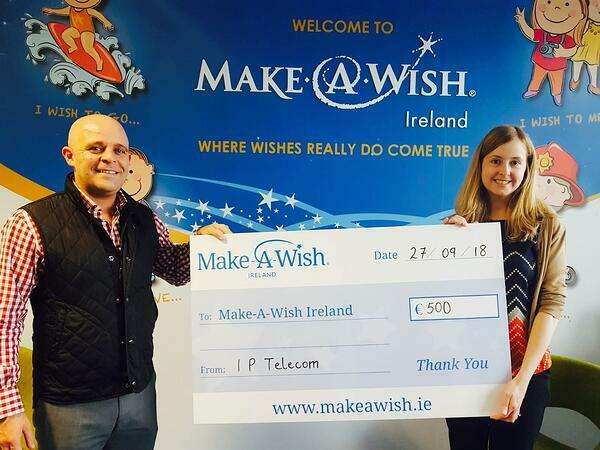 As it was our first year being the main sponsors we wanted to make a donation to event partners and charity, 'Make a Wish' for the fantastic work they do. Make A Wish depend on donations to grant the wishes of children aged 3-17 living with life threatening illnesses. This could be anything from meeting their favourite sports hero, recording a song in a music studio, or visiting a place that they would never have had the chance to do. Anthony Tattan, Commercial Director visits Make a Wish to present them with their donation. Check out how the IP Telecom team did in the race in our video below!